This game is not available on Neopets anymore, but we are keeping up our guide up as reference. 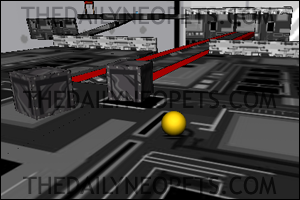 Imagine you were rolling around on the Neoboards, minding your own business. Suddenly, you see all the smileys have disappeared! They get whisked away far away and it's your job to bring the colour and emotion back into the Neoboards. Think you're up to it? You play The Last Smiley as the last smiley. 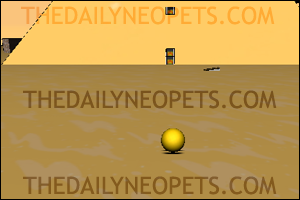 A solemn smiley icon rolling around in Neopia looking to bring back his fellow smilies to the Neoboards where they belong. To control The Last Smiley, you use the arrow keys on your keyboard and use the spacebar to jump. 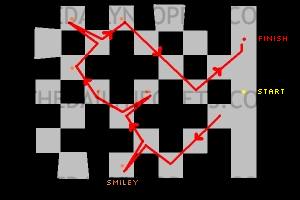 Below is a walkthrough for The Last Smiley. There are a few variations on the routes suggested in this guide, but these are thought to be the easiest ways to complete the levels. This level is very easy. It's all on one level and is enclosed, making it very hard to lose a life on this level. Make sure you don't go too fast over the bump though. You may get flung outside of the level! Once you have collected the 7 smileys, head to the red finishing circle to complete the level. The game really starts at level 2. When the game starts, line yourself up with the blue smiley in front of you and make sure your perpendicular to it otherwise you might fly outside the level. When you land, don't push any buttons. That way, you will slow down quicker. Collect the yellow smiley to the right of you. Carry on around the corner and collect the smiley on your way. Stop when you reach the blue smiley. Roll back about 3 faces of the smiley, and line up the remaining three smileys together. When they are all aligned, push and hold the 'up' button to gain speed and jump over the gap, collecting all three smileys as you go. Jump over the gap again, go along the middle ledge and reach the finishing circle. I regard this as more of a maze than any other levels in the game. You need to run and jump from square to square (Not pushing any buttons while landing) to get around this level. Only go on the completely flat ones, and not the sloping ones around the edge of the level. Below is a path that is recommended for its simplicity. Although, you can take other paths from this and still finish the level, it is probably best to memorise this one and stop you getting lost. However, if you do get lost, there is a way you can find your way back. If you look around you (In normal 3rd person view or typing ":)" to go into first person view) you will see usually 1 pixel sticking up from the rest. That's a smiley. Head towards that, and you will be back on track. Look for 2 tall poles for the finishing circle and roll onto it. This is another simple level if you know what you are doing. Once you start off, hold down the 'up' button to gain speed and launch yourself to the next section by the lip you are heading towards. Collect the smiley at the middle left of this platform and the other smiley just in front of the booster pad. Whatever you do, do not use this booster pad. You will, more than likely, be flung outside the level and lose a life. Once you've collected the two smileys, you head to the ramp on the left hand side and roll up and along it, going over the gap. Too fast and you go over the edge, too slow and you fall into the gap. On the platform you are on now, there is only one smiley, but is raised off of the ground. You will need to jump up when underneath it to get it. Once you have that smiley, do a similar thing to what you just did on the left ramp to that on the right. You've reached the finishing circle, now what? There is an angel smiley just in front of a booster pad. Unlike the other two, you should use this one. Roll back and line yourself up with the booster pad and push 'up' and roll yourself into it, collecting the angel smiley as you go. You should be shot up a wall and over into another area with nothing more than a finishing circle and a ramp. Underneath the ramp, however, is a secret smiley. These usually take the form of a cube "Catfish" smiley, and are worth more than double what you would get from ordinary smileys. So they are worth getting. When you have it, roll over to the finishing circle. This level requires patience and carefulness to complete. Collect the smiley that is behind you to the left. Then, follow the very narrow path around to the bottom, collecting the smileys as you go. The path is outlined below. Be careful going down slopes, as you will go faster than you expect and lose control. Once you reach the bottom, you should see the finishing circle, but only have 2 smileys. Head to the section to the left of the finishing circle and collect the smiley that is there. You will need to head up the ramp to the right to collect the 4th smiley and the secret smiley. The ramp is hard to navigate up and down because of it being a slope. Push the 'up' arrow only slightly and at regular intervals going up, but not at all doing down. There is no place where you can really 'stop' on this ramp, only slow down. Collect the 4th smiley on the second turning on the ramp, but carry on going to the top. If you can, try and roll and jump onto the flat ledge next to the top of the ramp. If you miss, you lose a life and start from the top of the level again. (But you can roll to the left of that to return to the location of the 3rd smiley). When you are on the ledge, find the secret smileys shadow. It will look like yours. Roll over it when you have found it and collect your bonus. 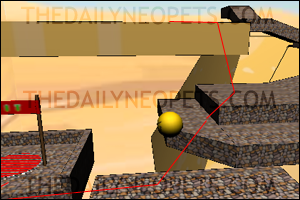 When you have done that, jump back onto the ramp and roll down and reach the finishing circle to complete the level. In contrast to the last level, level 6 is mainly uphill. Collect the smiley in front of you and roll up the track in front of you. Be careful of the corners. If you take them too fast then you will fall off of the level and lose a life. When you reach the top, you will see a see-saw type path and two metal crates. Push both metal crates onto the red see-saw path to weigh it down on one end to support your weight. If you don't, then the see-saw will just lean to wherever you are on it, making it impossible to connect to the other path on the other side. When you reach the other side, go to the left. You will need to navigate through the thin paths, collecting the smileys as you go. Take the right hand path first, which loops back on itself so you can easily take the left path afterwards. On the left path, collect the smiley at the end of the path and come back on yourself. You will see a slope leading towards a big red button with the secret smiley over it. You will need to roll down this wavey path and jump onto this button. 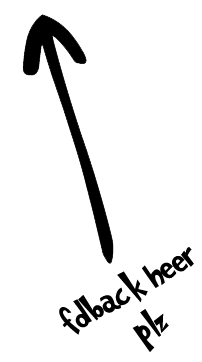 The button is a giant spring, which propells you upwards. Nine times out of ten, you will not land back on the ground. So, when you are falling, type "0:-)" (Zero, Colon, Dash, Closed bracket) and it will end the level for you. If you do land on the ground, either navigate back to the finishing circle to preserve the cheat code, or just use it anyway. Why not, there's only 2 more levels to go! This is the first of two Lost Desert maps in the game. Firstly, head to the right. There will be a smiley on top of a sand dune. The dune is very steep, so will require quite a big run up to reach it. Once you get it, head back over to where you were before. If you head up and left, you will come to a very big pyramid, with 2 boosters on it lined up. Even with the two boosters, you will need a fast, straight and long run up to reach the top of the pyramid. Roll about 5 faces backwards, check you are straight using the ":)" 1st person view, and hold 'up' and run into to boosters. If done correctly, there's a surprise in store! You're heading straight for not only the next platform, but also the secret smiley. It's located right on top of the pyramid, and can only be reached if you are perfectly straight on those boosters. 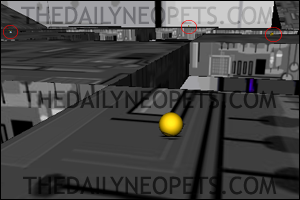 When you land, you will hopefully be on a brown ledge with one smiley and a blue teleport on it. If you are not on that ledge, head to the left and in front of the pyramid you were just rolling up and go to the raised platform with another blue teleport on it. Rolling into this will take you up to the teleport on the high brown ledge. Collect the smiley in the far right corner and use the teleport to get back down again. When down to the ground again, collect the blue smiley laying next to the wall to the left when you come from the teleport. Then, you will need to roll around the big pyramid to the platform that looks like a pyramid with its top chopped off next to Colzan's Shrine. Jump onto that, collec the smiley on top of it and situate yourself on the middle of that ledge. 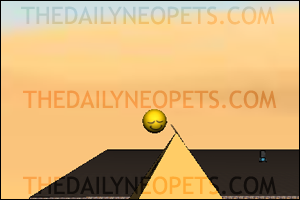 Push 'up' so you can run up and jump onto the top of Coltzan's Shrine and collect the smiley there. If you don't get it, repeat until you do. Then, head for the finishing circle. 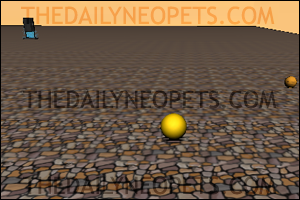 With this level, you will need to jump onto it, rather than roll onto it, to finish the level. Once you have done that, roll 1 and a half faces backwards and hold down 'up' and jump onto the ledge. Remember not to push anything when you land. This is especially important in this level, as there isn't much room to use as a runway. Continue doing something similar and jumping from platform to platform until you reach another flat topped pyramid. Head to the right and jump onto the long platform and collect the smiley at the end of it. When you have collected that one, turn around and head back to the flat topped pyramid you were just on. Collect the smiley in the top right by going underneath it and jumping. Now, on the left side (the one you were just facing directly), I'm going to ask you to do something that may seem weird, but is worth it. You should fall off the left edge of the flat topped pyramid you are on. If you've done this right, you should be shot inside the pyramid with another secret smiley in it. 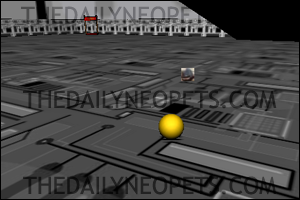 Collect that smiley and use the teleport to move you back to just above where you started from. 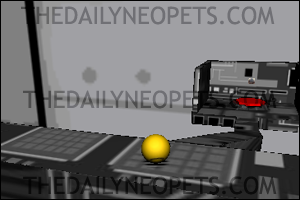 Once you have come out of that, roll off of the platform you have been teleported to, then roll off the side to the right. Carry on going down until you reach a smiley on a square platform. Jump again and again until you land on the finishing circle. Typing "*catfish*" will give you an extra life. Typing "0:-)" will end the level where you are. Typing ":)" will give you a 1st person view of the game. Typing ":P" will show you the average frames a second. That's it! You have saved the Neoboards from a plain text life! 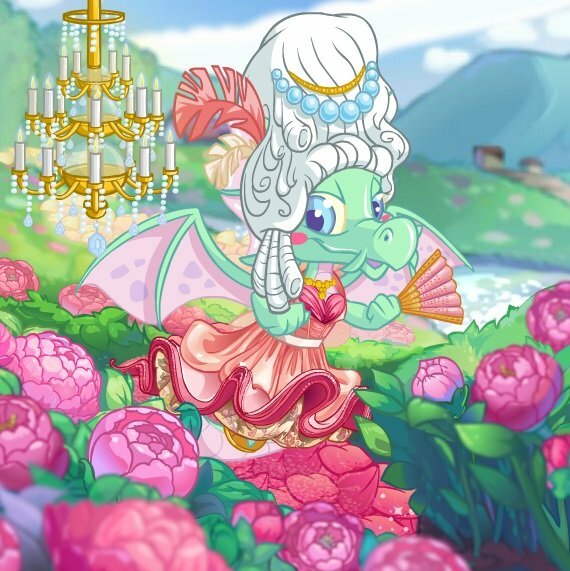 I'm sure the people of Neopia are proud of your courage and skill to bring the emotion of the community back once again. Feel happy about the fact you have, more than likely, gotten a gold trophy, too. Following this guide gets the maximum 810 points physically possible from this game. Expect a shiny new trophy on your lookup any moment now.